TO GET MORE INFORMATION, ON OUR COURSES, PLEASE CHOOSE THE COURSE YOU WISH TO ATTEND AND THEN FILL OUT THE CONTACT FORM AT BOTTOM OF PAGE OR RING (044) 9344301 OR EMAIL US. The purpose of this module is to equip the Learner with the knowledge, skill and competence in the practices and principles underpinning the role of Special Needs Assistant, to enable the Learner to work effectively under direction in a special needs capacity. This module will equip the Learner with the knowledge, skill and competence relevant to the theory and practice of child development and learning with early childhood care and education (ECCE) settings. This module aims to introduce Learners to human development and behaviour from infancy to old age. It is designed to enable Learners to work in a variety of community/social care settings where frequent demand is made on the individual to relate to people with various levels of ability. This module aims to quip the Learner with the knowledge, skill and competence to ensure that each child’s learning, development and well being is facilitated through the provision of opportunities, experiences, activities, interaction, materials and equipment, having regard to the age and stage development of the child and the child’s cultural context. QQI LEVEL 6 PROJECT MANAGEMENT (6N4090) – STARTS THURSDAY 11TH JANUARY 2018, 6.00PM. This module will give the Learner the necessary skills in principles and theory of Project Management and enable them to take responsibility for the planning, implementation and review of a project. QQI LEVEL 5 CHILD DEVELOPMENT (5N1764) – STARTS TUESDAY 5TH DECEMBER 2017 (IN ATHLONE), 6.30PM. This module will equip the Learner with the knowledge, skill and competence relevant to the theory and practice of child development and learning with Early Childhood Care and Education (ECCE) settings.Contact (044)9344301 or submit Contact Form at bottom of page for more information. 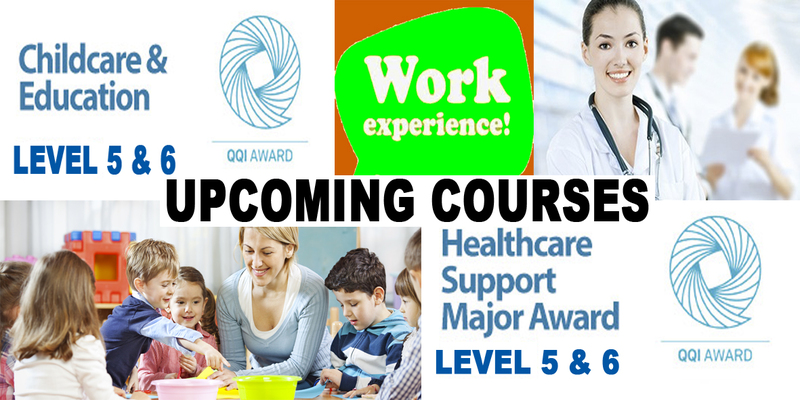 QQI LEVEL 6 PROJECT MANAGEMENT (6N4090) – STARTS THURSDAY 30TH NOVEMBER 2017, 6.00PM. This module will give the Learner the necessary skill in the principles and theory of project management and enable them to take responsibility for the planning, implementation and review of a project.Contact (044)9344301 or submit Contact Form at bottom of page for more information. LEVEL 6 CHILD DEVELOPMENT (6N1942) – STARTS MONDAY 20TH NOVEMBER 2017, 6.00PM. The purpose of this award is to equip the Learner with the knowledge, skill and competence relevant to the theory and practice of child development when working autonomously and with others in Early Childhood Care and Education (ECCE) settings. Contact (044)9344301 or submit Contact Form at bottom of page for more information. 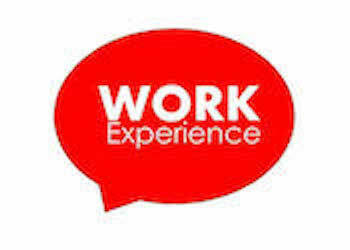 LEVEL 5 WORK EXPERIENCE (5N1356) – STARTS WEDNESDAY 8TH NOVEMBER 2017, 6.30pm. This module aims to provide the learner with the personal knowledge, skill and capacity to participate in a suitable work placement under supervision for a period of time. Usual evening rates. Contact (044)9344301 or submit Contact Form at bottom of page for more information.